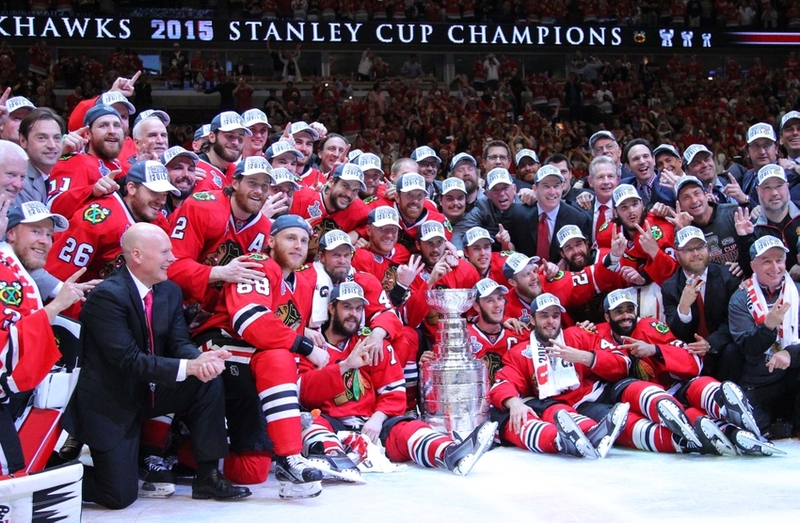 The Chicago Blackhawks have been deemed a dynasty by many in the hockey world. Whether or not you believe the team is worthy of such a title, it’s hard to argue with the fact that the team just won its third Stanley Cup in the last five years. Chicago had an impressive run in the playoffs and a solid Final against Tampa Bay. 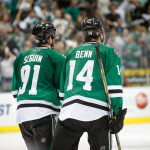 Trade deadline acquisitions made by general manager Stan Bowman were crucial to the team’s success. Antoine Vermette, acquired from Arizona, had multiple game-winning goals in the playoffs. Although veteran defenseman Kimmo Timonen did not play much, he did suit up for the last several games of the Stanley Cup Final and was able to lift the Stanley Cup in his final NHL game. 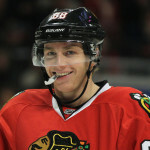 As per usual, Jonathan Toews and Patrick Kane were incredible throughout the playoffs, but the name that drew the most attention was defenseman Duncan Keith, who played an incredible number of minutes (yet never seemed to tire) and ended up putting together a Conn Smythe-winning playoff run, scoring 21 points in 23 games. The offseason has seen a lot of changes in Chicago; in fact, Chicago has been one of the most active teams in the NHL since May. The team has made many trades out of necessity for cap reasons, especially with the dual $10.5 million contracts of Toews and Kane that kick in this season. Though most of the main core of the team will remain (Toews, Kane, Keith, Brent Seabrook, Marian Hossa, Niklas Hjalmarsson), it will definitely be a new-look Blackhawks squad this season. 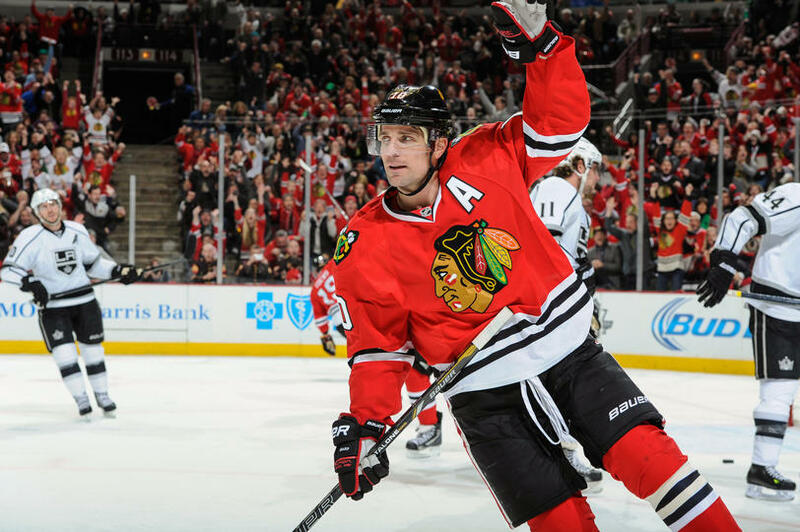 The team will be without Patrick Sharp, Johnny Oduya and Kris Versteeg, and Vermette, Timonen and Brad Richards will not be returning either. In one of the most shocking moves of the offseason, Brandon Saad was sent to Columbus for a package of players, including Artem Anisimov and Marko Dano; Trevor Daley, acquired in the Sharp trade, will also be a new mainstay on the Blackhawks’ back end. The Blackhawks may not have as strong a regular season as last year, but it’s pretty hard to imagine the team won’t make the playoffs; once the Blackhawks make the playoffs, they should automatically be considered Cup favorites, or at least a very dangerous threat. There were many unflattering rumors surrounding Patrick Sharp and the Blackhawks’ locker room last season. Though none of the rumors have been proven or disproven, it seemed that tensions were high and that Sharp might be moved at the deadline. The Blackhawks ended up keeping Sharp through the end of the season, which ended with the team winning the Stanley Cup. Due to extreme cap limitations, the Blackhawks needed to move some players, and Sharp was considered to be on the top of that list. It was very surprising when Brandon Saad was traded before Sharp, and although Sharp did eventually get moved to Dallas, it took a little while to get the deal done. The Blackhawks needed more defensemen after the team was forced to play with essentially four defensemen in the playoffs and especially in the Cup, but it’s unclear if Trevor Daley is a true top-four defenseman. He has shown flashes of elevated play but he has been inconsistent at times in his career. Assuming he will pair with Hjalmarsson, Daley will be looked upon to make an offensive contribution. Luckily for the Blackhawks, Daley had the best offensive season of his career last year, finishing with career highs in goals (16), assists (22) and points (38). In fact, Daley’s 16 goals was almost twice as many goals as his second-highest previous goal total in a single season (nine). It’s unclear if Daley will get power-play time on the Blackhawks’ second unit, but he could very well make huge contributions to the penalty-kill and power-play efforts. Aside from the Bruins trading Dougie Hamilton to the Calgary Flames, the Brandon Saad trade could easily be classified as the most shocking trade of the offseason. 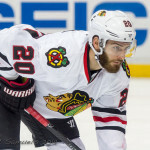 While it was always a possibility that Chicago would move Saad due to salary cap constraints, most people assumed that players like Sharp, Kris Versteeg and others would be the ones to go and that Saad might possibly take a slight hometown discount to continue to play with Chicago and (theoretically) continue to win Stanley Cups. However, all bets were off when it was announced that Chicago had shipped the 22-year-old, two-time Stanley Cup champion Saad to Columbus in exchange for Anisimov, Dano and other pieces. 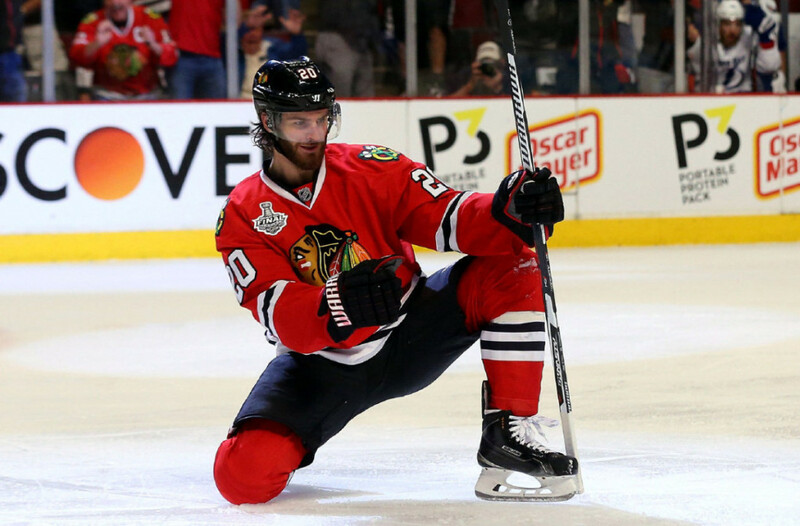 Over the past two seasons Saad has put up 47 and 52 points, respectively, going 19-28-47 in 2013-2014 and 23-29-52 in 2014-2015. Saad is shaping up to be one of the best power forwards in the league, and power forwards are not usually easy to come by. It was certainly a surprise to see Chicago ship him off so early on in the offseason, but the organization must have known that it would not be possible to re-sign him to a deal that would still allow Chicago to maintain a strong, deep team that could continue to compete for Cups. 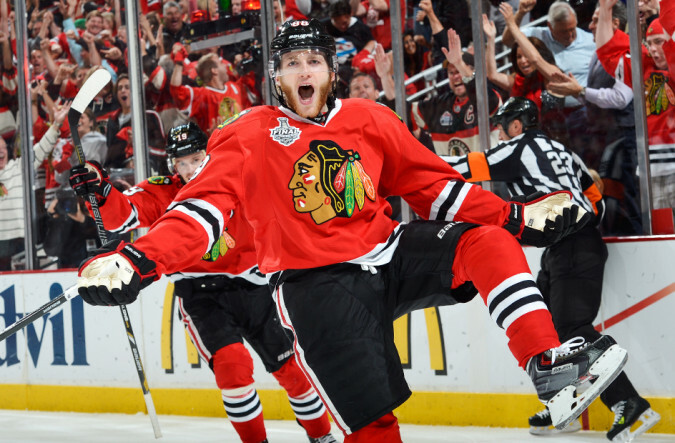 It will be interesting to see how the Blackhawks cope without Saad. 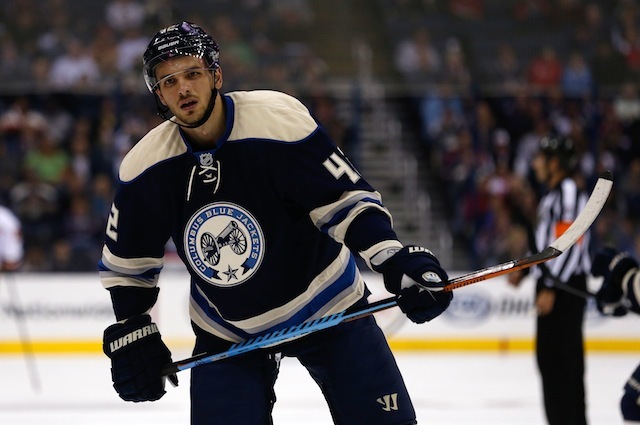 The Blackhawks acquired Artem Anisimov in the Brandon Saad trade with the Columbus Blue Jackets. Anisimov is a player the Blackhawks have liked for a while. Anisimov is talented and would benefit greatly from playing with strong linemates, but his contract extension is too rich for the type of play the Blackhawks can expect from him. Though Anisimov was hurt for a large portion of this past season, had he played all 82 games he would have been on pace to score 43 points. Anisimov has only officially reached the 40-point plateau once in his career, which was in the 2010-2011 season with the New York Rangers. In his six full NHL seasons, Anisimov has scored 28, 44, 36, 18, 39 and 27 points. Anisimov brings more to the table than his stat-line, which is true of most hockey players, but to be paid $4.55 million for five years without having ever reached the 50-point plateau and with only reaching 40 one time is a bit steep. It seems like an especially exorbitant offer in case Teuvo Teravainen takes over as the second-line center. If so, that would push Anisimov to the third-line center position. While Anisimov can play wing (and could technically play on the left side with Teravainen and Kane), the Blackhawks need depth up the middle and will therefore most likely leave Anisimov at center. It’s possible Teravainen might take the left-wing slot on the top line with Toews and Hossa, in which case Anisimov would slot in as the second-line center. But regardless of where Anisimov plays, $4.55 million a year for a player who hasn’t scored 50 points in a season seems like quite a gamble for a cap-strapped team like Chicago. 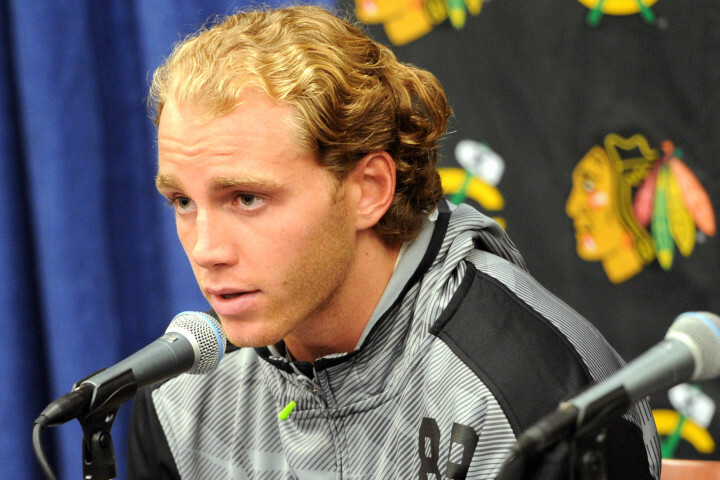 Patrick Kane has been wrapped up in an ongoing investigation surrounding an alleged sexual assault that occurred in his home in upstate New York this summer. The controversy has been rampant, and Kane was even removed from the cover of EA Sports’ NHL 16 video game. At this point charges have still yet to be filed, but the investigation in Hamburg, New York is ongoing. A grand jury hearing was recently postponed but should take place later this month; however, this process is most likely going to take at least several months to unfold. Kane recently spoke about the incident for the first time (you can see part of the interview here). Kane did report to the Blackhawks’ training camp, so it will be interesting to see what happens with the investigation and with his role with the Blackhawks. Trade rumors were running wild earlier in the summer because of Kane’s past behavior and this latest PR catastrophe, but it seems unlikely the Blackhawks will/would trade such a clutch and accomplished player. However, Bowman and head coach Joel Quenneville may have to be more aggressive in handling the situation if the investigation becomes more of a distraction for the team. This is an extremely underrated move. There’s a good chance nothing will come of it, but Daniel Paille is an elite fourth-line player (if there is such a thing) and is a great penalty killer. He was a member of the Boston Bruins’ Merlot Line, one of the most successful fourth lines in recent history. Paille did not have his best season last year, scoring 13 points in 71 games, but he has great speed, plays a solid two-way game and could be a very effective player for the Blackhawks. 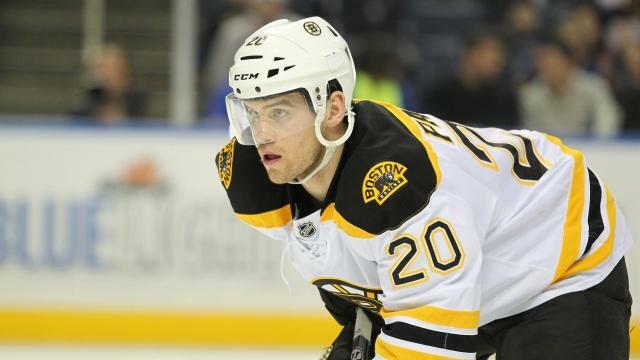 Paille was originally a first-round draft pick in the 2002 NHL draft. Should he crack the roster, the Blackhawks will easily have one of the best fourth lines in the league. Paille can play on the third line in case of multiple Chicago injuries, but regardless of where he plays, he is a strong veteran with a responsible two-way game and great speed. He is also one of the more offensively-gifted fourth liners in the NHL. He isn’t the kind of player who will produce 50 points a season, but he can put together a 20-point season with great penalty killing, two-way play and energy. This was a very clever move by the Blackhawks organization to invite him to training camp on a professional tryout, and it will be interesting to see if he makes the team. Which one is more likely? The Chicago Blackhawks are the team to beat, not only because they won the 2015 Stanley Cup but because they are the most resilient, fearless and relentless club in the NHL. 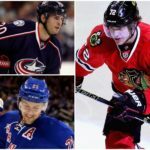 Players like Jonathan Toews, Duncan Keith and Patrick Kane are incredibly dedicated and driven, and they are most likely not finished collecting rings. With all the changes in the locker room this year things may feel a little different, but this Chicago team has made drastic offseason changes before (after the 2010 Stanley Cup victory) and has rebounded quite nicely. Quenneville and Bowman seem to have everything under control, so there is no point in expecting anything less than a stellar playoff effort. The Blackhawks can’t win every season, but they can certainly try.